Google Map got Labs where you can see 9 new features to add into your Map. 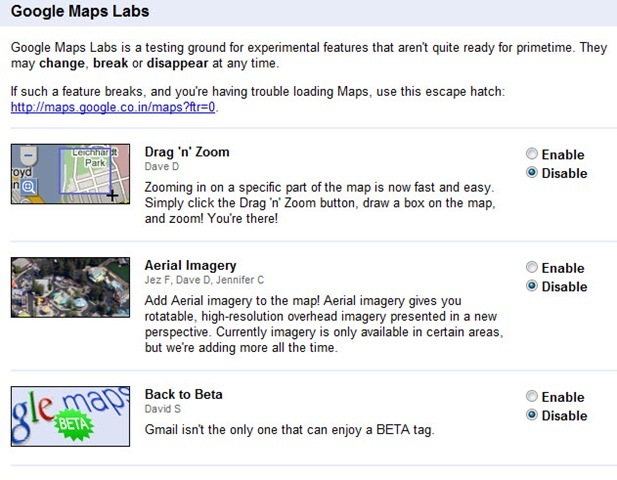 Labs are more familiar term for Gmail and Google Webmaster but now it is available for Maps as well. Here I will show you the new features which are added in Google Maps thru Labs. Login to your Google Maps account and then you can see an icon with text as (New). Click on that icon, it will open a new pop up window thru which you can enable or disable new features. That window is Google Maps Labs. Here is the screenshot of that icon which is there on the top-right corner of your Google Maps account window. 1. Drag ‘n’ Zoom ==> Zooming in on a specific part of the map is now fast and easy. Simply click the Drag ‘n’ Zoom button, draw a box on the map, and zoom! You’re there! 3. Back to Beta ==> Gmail isn’t the only one that can enjoy a BETA tag. 4. Where in the World Game ==> Test your knowledge of world geography! Guess the name of the country from satellite imagery, and try to beat your top score! 6. What’s Around Here? ==> Adds a second search button that searches for "*", returning the top results in the current view. A great way to browse the map. 7. LatLng Tooltip ==> Displays a tooltip next to the mouse cursor showing the latlng directly underneath it. 9. Smart Zoom ==> Ever zoom in too far and get the message "We don’t have imagery at this zoom level"? Ensure you don’t see it again, with Smart Zoom, which will check in advance what imagery exists, and ensure you can’t zoom in beyond it. Okay. 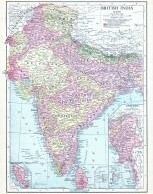 I tried “Rotatable Maps” feature on my Google Maps account and rotated the map of India. Yes, the map rotated properly, to do that you will have to click on the “Rotate Map” button the top-right which you will get after enabling the “Rotate Maps” feature from labs. Now rotate the map thru “Pan Movement Panel” on top-left of the map. Yes, it is the same panel which is used to move the map to left-right-top-bottom. Once you are done with the rotation of map, you can click on “Map” link on the map to re-enable the movement panel for normal uses. 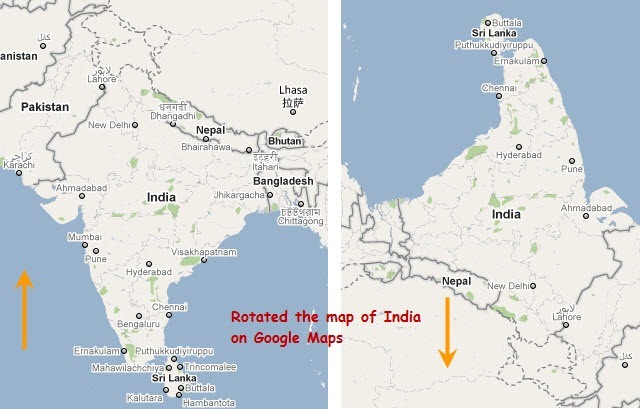 Here is the screenshot of India before rotation and after rotation of 90 degrees. Share your experience after using any of these new features on Google Maps. 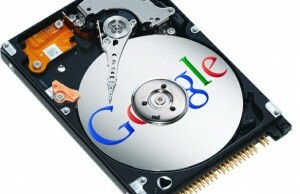 Recently launched Google Buzz is also able to send and share maps of a particular location. 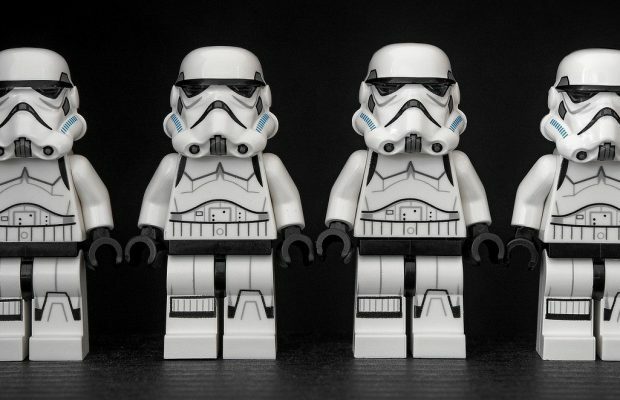 Buzz has already created too much buzz around the web addicts. If you are a blogger with a blog hosted on WordPress then you can add cool “Buzz This” button thru our recently released plugin.